Download this free whitepaper which includes common signs it's time to repair or replace your facility's flooring as well as safety and compliance considerations to keep in mind. See how we value-engineered flooring solutions for companies just like yours. There are strict guidelines and challenges found within the pharmaceutical or life sciences industry - your flooring being just one of them. 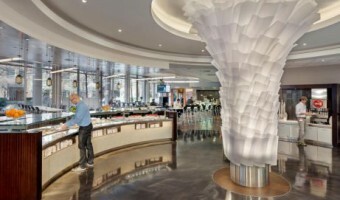 We can engineer a flooring solution that can withstand the elements of your unique environment. 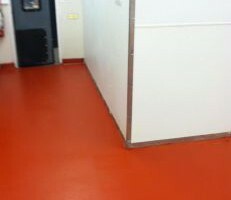 Learn more about flooring options and read case studies from New England's top restaurateurs, commercial kitchens, and food processing plants like yours and how we found the right solution for each one. When considering resurfacing concrete floors, it’s critical to understand any underlying issues that may present challenges to overall success. Black Bear will come to you, conduct extensive testing, and create the best plan for your flowing needs. Schedule Your Free, No-Obligation, Consultation Today! 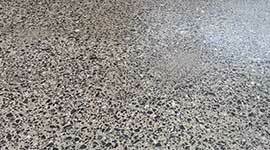 We have extensive expertise with concrete coatings. 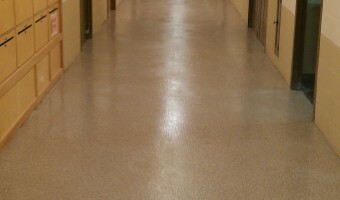 Not all coatings are the same, so it’s important to match the demands of your facility with the right coating product. From self-leveling cementitious urethane mortars to epoxy coatings and decorative coatings, we can help choose the system that’s best for your needs. 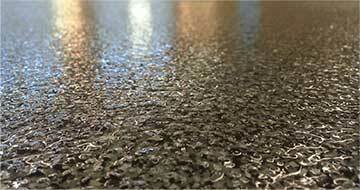 We have highly trained, experienced professionals specializing in heavy-duty polishing machines that can gradually grind down your floors to the desired degree of shine and smoothness. 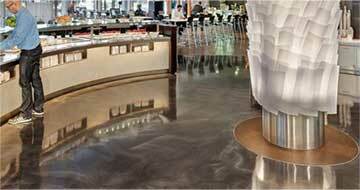 Whether it’s low gloss or a reflective mirror-like finish, we can create polished concrete floors to meet your needs. Black Bear Coatings & Concrete has extensive experience with vapor mitigation techniques that can prevent problems from happening. 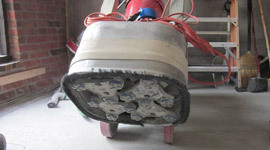 We understand how to apply chemical underlayments that prevent water vapor from passing through concrete slabs. 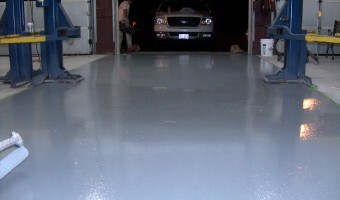 The first stage of any flooring project is preparing the surface. 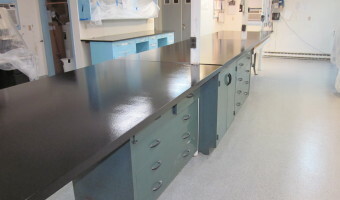 Creating the proper surface for adhesion ensures that chemical and mechanical bonds are strong. 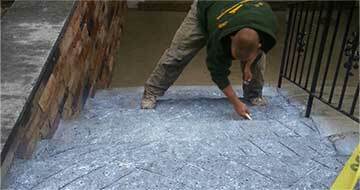 Black Bear Coatings & Concrete performs all its own preparation for projects in-house. Our team is so skilled at this work that many times, we are called in to help others! In an industry filled with vendors who say they can offer it all, we saw an opportunity to stand apart from the competition. Where some companies say they can do coatings as well as full concrete installations, they are usually good at one … but not the other. 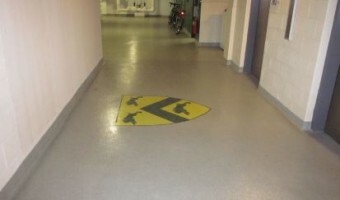 We are the only vendor who can install the best epoxy floors, coatings, and polished concrete – as well as resurface and repair exterior concrete. 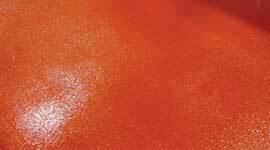 We are concrete and coating specialists; we can install epoxy floors, decorative coatings, perform structural resurfacing, and more. All while over-delivering on our commitment to you and exceeding your expectations every step of the way. 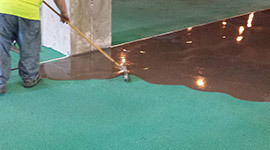 Whether you're looking for the right coating for interior or exterior concrete – both for residential or commercial projects – concrete resurfacing, or a new installation of just about any concrete project, we promise that Black Bear Coatings & Concrete will be simply different for you.